I’ve been doing a lot of thinking in the past several days about former President George H. W. Bush. Some may know him better by the label “41” or “Bush 41” denoting that he was our nation’s forty-first President. He’s the only President I met in person. While I have been at individual events where former President’s Ford, Reagan, and Clinton were speakers, I actually had the privilege of talking to the man who served from 1989 to 1993. In fact, I encountered “41” on three occasions. The first time, he was candidate George Bush running for the Republican Presidential nomination in 1980. I was a television reporter in Binghamton, New York. By the time his campaign reached upstate New York, many believed Ronald Reagan was about to lock up the nomination. But George Bush wasn’t giving an inch. He told a group of supporters, and the curious, that he would campaign in every state in order to win the nomination. I was very young, just out of college, when I asked him the question that would immediately tell him how much I knew about national politics. “Whose the frontrunner?” I asked in a private interview shortly after his speech. “Reagan,” he answered without acknowledging that I nervously asked a very lame question. Everyone knew Reagan was the frontrunner. The question shouldn’t have been asked in the first place. He treated my question with respect. I was impressed. Eight years later, I would be covering the Republican National Convention at the New Orleans Superdome as a special projects producer for a television station in Rochester, New York. My job was to coordinate our crewand review news copy for content so that daily reports could be fed via satellite to our station. 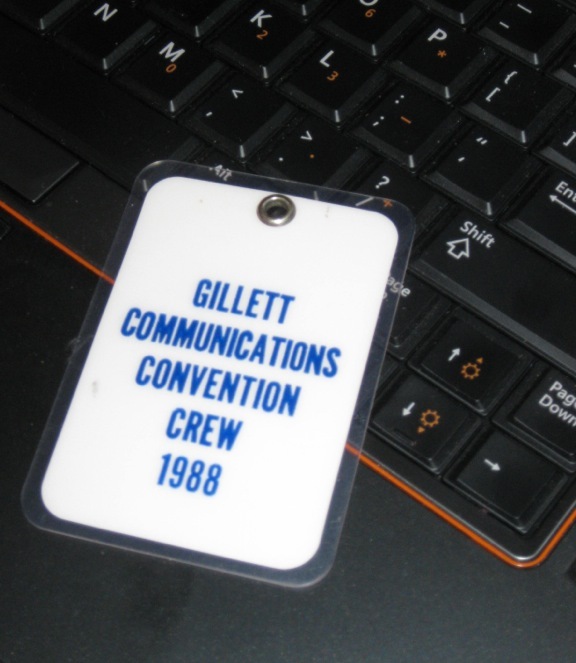 I still have my press credential from that convention. Vice President Bush came into town with no doubt who would carry the party right to the White House. Three things stand out for me about that convention in 1988. First, was the thunderous applause given President Reagan when he entered the convention floor earlier in the week. Second, was the line from the acceptance speech nominee Bush gave on the closing night of the convention: “Read my lips, no new taxes.” Again, the applause was deafening. Third, was how sleep deprived I was upon my return home. For about a week, I could take a nap on the spot anywhere and at anytime. My wife and I met former President Bush about four years after he lost his bid for a second term to Bill Clinton. Mr. Bush gave a speech at the State University of New York College at Geneseo. As the head of the local chamber of commerce, I was invited by the College to meet the former President at a reception immediately following the speech. We waited in line until it was our turn to pose for a picture and shake hands with the former President. My camera ran out of film so our picture never came out. But I did shake Mr. Bush’s hand, and told him of our first encounter some seventeer years earlier. I was not at all surprised that he did not remember that encounter. My wife managed to ask him if he had any advice for raising daughters. She recalls he smiled, and said something about how he was no expert in that department. Meeting a President, regardless of party loyalty, is a special thing. I felt privileged to have had that opportunity. And it was an honor to meet a man so genuine as George H. W. Bush.